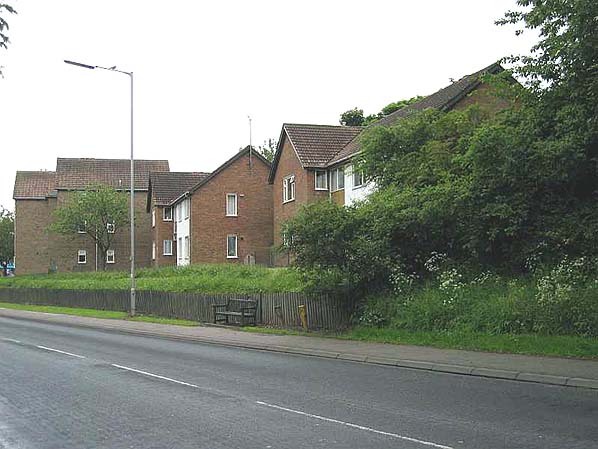 Present state: Demolished - the site was cleared in 1968 and a development of sheltered accommodation flats ('Kingston Rise') has been built on the site. The Willerby by-pass was constructed on part of the station yard. Notes: The railway crossed Beverley Road on a girder bridge, the station platforms being on an embankment with the station buildings at ground level (similar design to North Cave), though the western end was at ground level due to the rising ground. The main station building in the English domestic revival style – with decorative external brick courses between floors and brick lintels, on down side with passengers entering the building at the lower level and exiting onto the platform from the upper level. On the up platform there was a brick waiting room built into the side of the embankment. Access was along a footpath from Beverley Road from where a covered stairway led up to the platform. The goods yard on the down side had two sidings running of a short loop to the north of the station. One siding spilt into two running south either side of a dock behind the down platform. The other ran north also splitting into two, one long siding ran parallel with the up line but at a lower level at the bottom of the embankment, the other diverging siding further split into two with a short line serving a cattle dock and pens; the other longer line serving the coal yard. A signal box for controlling access to the yard was sited opposite the loop on the up side. There were two access roads to the yard off Beverley Road, that to the north included a weighbridge. Between Willerby and and Little Weighton a private siding served the Kirk Ella limeworks. After closure to passengers in 1955 the goods yard remained open until 6 July 1964. 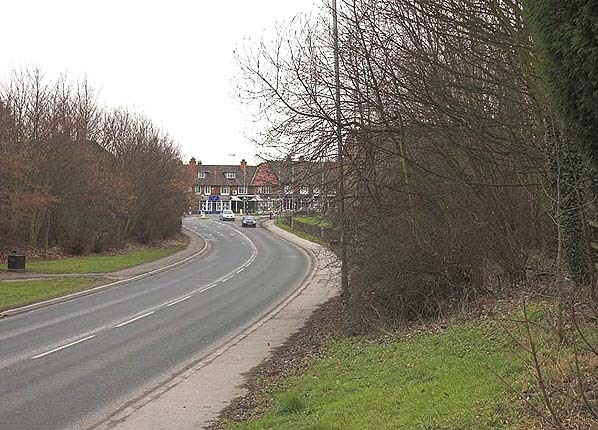 The alignment west of the station is now occupied by the B1232 road and the embankment on the east side of Beverley Road has been cut back by approximately 100 yards and the area used as a car park. At the eastern end of the car park steps lead up to the embankment which continues as a footpath for approximately ¾ mile. Goole had risen from nothing as a port on the Ouse with the creation of the Knottingley to Goole Canal in 1826 by the Aire and Calder Canal Company; the port, built to generous specifications rapidly gained inward and outward trade – much to the chagrin of Hull, and spurred the development of the extension of the Leeds to Selby Railway to Hull which opened in 1840. Additionally the North Eastern Railway – which had a monopoly on rail transport to Hull - prevented other rail companies investing there, and so Goole gained its own railway by the Wakefield, Pontefract and Goole Railway (later part of the Lancashire and Yorkshire Railway) in 1848. A custom-built railway dock and the use of specialised coal barges and unloading facilities, as well as the backing of the Aire and Calder Canal company, made it a very viable competitor to Hull for trade. Additionally, as a competitor to the port of Hull (and equally well placed for European trade), Grimsby began to grow after the 1840s when the Ashton-under-Lyne and Manchester Railway Company built a rail connection, and the Royal Dock was completed in 1852. Hull had expanded rapidly during the 18th century with shipping tonnages increasing over ten times in that period, and numerous docks supplementing and connecting Old Dock (Queen's Dock) being built by the Dock company in the 19th: Humber Dock (Prince's Dock) 1809, Junction Dock 1829, by 1846 Railway Dock connected to the Hull & Selby Railway (later part of the NER), as well as Victoria Dock (1850), Albert Dock (1869) and St Andrews Dock (1883). Despite all this activity, the Dock company was criticised for lack of action – specifically with regard to construction of facilities that would make Hull a foremost coal-exporting port. Additionally, the NER - whose interests in the north-east of England were in competition with Hull, and which held a monopoly on rail transport to Hull - was viewed with mistrust, suspicion, dissatisfaction and even hate, so much that schemes for independent railways or a company other than the NER were proposed that would build a line to Hull, including a bridge over, and tunnels under, the Humber were being actively promoted by Hull merchants. A push and pull train stands at the up platform at Willerby & Kirk Ella station. 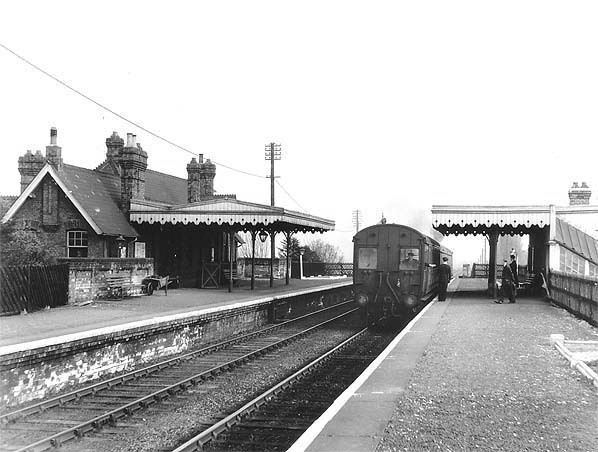 The station was built on an embankment with the main station building on the down dide with access to the platform frrom the upper floor. Access to the up platform was along a footpath from Beverley road and up a covered stairway which is seen on the right. 1927 1:2,500 OS map. The station has an unusual goods yard with two sidings running of a short loop to the north of the station. One spilits into two running south either side of a dock behind the down platform. The other runs north also splitting into two, one long siding runs parallel with the up line but at a lower level at the bottom of the embankment, the other diverging siding further splits into two with a short line serving a cattle dock and pens; the other longer line seving the coal yard. Although not identified as such, a signal box for controlling access to the yard is shown opposite the loop on the down side. 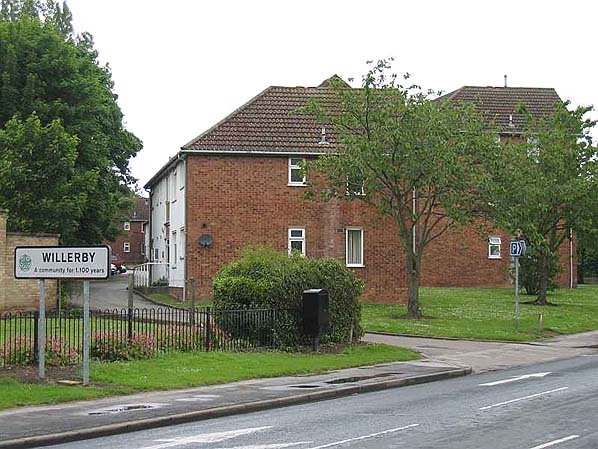 There are two access roads off Beverley Road, that to the north with a weighbridge; also not identified. 1927 1:2,500 OS map. There has been substantial residential development on both sides of the line and industrial development around the goods yard. The weighbridge (WM) and signal box (SB) are now identified. 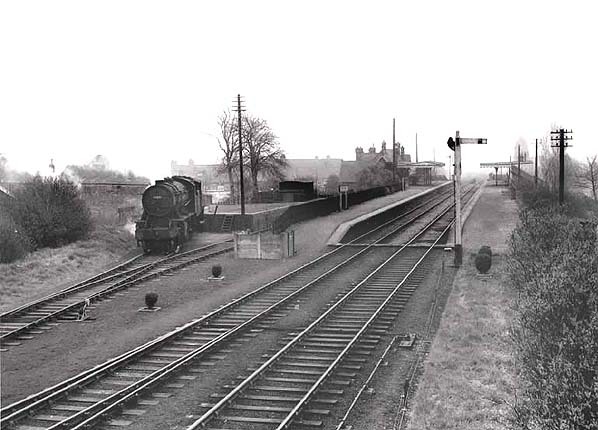 Willerby & Kirk Ella station in the late 1950s, looking east towards Hull with a locomotive preparing to leave the goods yard where sidings run either side of a dock behind the up platform. The row of shops visible behind the loco still exisit, practically everything else in the photograph has now gone. 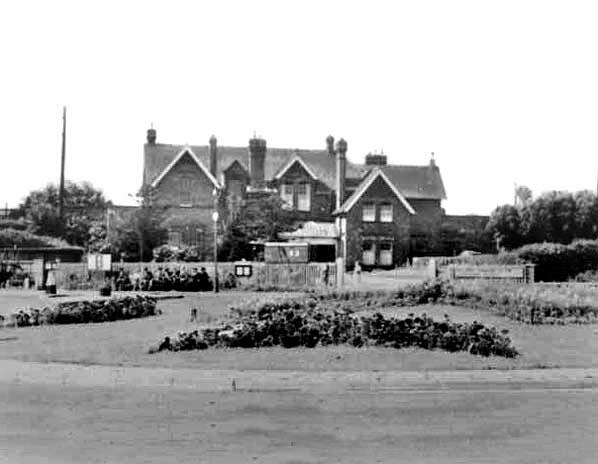 The substantial two-storey main building Willerby & Kirk Ella station in c1959. There is a canopy in front of the entrance from the forecourt. The site of Willerby & Kirk Ella station in March 2006 seen from a similar viewpoint as the picture late 1950s picture above. The fence on the extreme right is approximately on the railway boundary. The same row of shops is visible in both photographs; the roof of the building immediately left of the locomotive is also just visible in the trees on the left. The site of Willerby & Kirk Ella station in 2005 - looking west, railway alignment was approximately through the left hand building. The site of Willerby & Kirk Ella station in 2005 - looking eastwards, alignment approximately through the right hand building, road in the foreground occupies the railway alignment to the right of shot, no trace of the earthworks exist.